We don’t want to just list your home, we want to sell it. There is a lot more to selling a home than placing a sign on the lawn….. The goal of a good realtor is to sell your home for more money, net to you – after commissions, than if you had done all the work and sold it yourself. This takes a lot of planning and hard work. In today’s challenging real estate market, there is a lot more to selling a home than placing a sign on the lawn, an ad in the paper and waiting for the buyer to come. If you want to get the highest possible price for your home and not be waiting for months and months to find a buyer, you need to have an intensive plan of action. Our objective is to turn your ‘For Sale’ sign into a ‘Sold Sign’ in the shortest period of time while getting you the best possible price. To do this, we have developed a comprehensive marketing plan. We have to aggressively market your home if we want to get the best results. Before we can market your property, we must package it; we must look at what we have to offer and where it fits in today’s market place. What is going to sell your home is not always apparent. Seldom does a home sell itself. It is necessary to start the whole selling process with a thorough analysis of your property, looking at the characteristics, specifics on construction, the location, special additions, special features, the neighborhood, etc. Armed with all the information, we determine the USP (Unique Selling Proposition) of your property and then we create a marketing plan around it. Once we have identified the Unique Selling Proposition of your home, we can then anticipate who the potential buyers might be. We work with you to determine the reasons you bought your home. We look at what specific features and benefits you saw in the property and what additions you have made and why. Once we have created the ‘profile’ of the potential buyer, we can target our marketing to that person. This can be extremely effective at increasing the quality of the showings on your home. When someone finds that exact property they are looking for, quite often they are prepared to pay more for it. There are a number of things you can do to prepare your home so buyers fully appreciate all it has to offer. We will work with you in setting the stage so your home will show its very best. A complete portfolio of pictures and videos, inside and outside, will be taken of your home as well as the views and the surrounding area. In this day and age, video is how we communicate and it portrays so much more than words alone. This will be used in our advertising and showcased on our web site and to all the local Realtors (MLS) in the Lake Chapala area to help tell the story of your property. People buy on emotion, not facts. Video and pictures help us touch that emotional part of people to make them want to come see your home. The full details of your property will be submitted to the Multiple Listing Service (MLS) where it can be accessed by more than 100 real estate agents in the Lake Chapala area. The information can also be accessed via the Internet (MLS web site) by the public. Every time a new listing is added to the MLS, all agents are advised immediately via an e-mail. Surveys by local and national real estate boards in North America have shown consistently that 86% of all buyers purchase through a real estate agent. Therefore we aim a good percentage of our marketing at the Lake Chapala real estate industry. This consistently brings your home to the attention of all the local real estate agents working with qualified buyers. There are pros and cons to ‘Public Open House’ events. The reality is that regular open houses are more beneficial to the Realtor than the Homeowner. It allows them to meet potential buyers, but not necessarily for your home. Seldom does a visitor to an open house buy that particular home. By timing and focusing various marketing components, we can increase attendance response as well as target prospects that are actually suited to your home. For instance, the newspaper advertising and invitational e-mails to our client list and to all Lake Chapala Realtors inviting them to send their clients, could be done in conjunction with the open house. We will discuss this during our initial marketing plan and incorporate your preferences into the total marketing strategy. The more people we can target to come through your home at the same time, the better. This creates a sense of urgency and enhances the possibility of getting an offer and a higher priced offer. The Lake Chapala Real Estate sign is colorful and eye-catching! Having our sign on your lawn represents 24 hour silent advertising. Unique to our signage is the addition of a laminated color feature flyer on the sign, allowing passers-by to ascertain if your home meets their basic requirements. This should result in better quality showings. Sometimes buyers will rule out a home from its exterior. Having the feature flyer available on the For Sale Sign, may give them enough information to get them excited and call for a viewing appointment. It only takes one to be the right buyer for your home. In today’s world, information is accessed online and on social media platforms, especially when our market is NOB (North of the Border) and so many of our clients have done their research before they arrive. We connect with your potential buyer through Facebook and YouTube, giving them all the details and opportunities to Like, Comment and Share with their network. This spreads the word online and gets your house seen by more people worldwide. You never know where your buyer may come from! Lake Chapala Real Estate advertises in a number of newspapers (both English and Spanish), as well as Magazines – aimed at people interested in retiring or living in Mexico. In addition we will advertise your home in the local print media in accordance with the total marketing plan. The selling process of your home to a specific buyer can actually begin on our web site, which has just undergone a major facelift! We continually update our content, refresh with new pictures and focus on our web ranking to keep us and you on top of web searches. We educate our buyers on neighborhoods using drone video footage, the real estate process audio series and keep everyone informed with a newsletter. Your home will be showcased in the Featured Listings header on our Home Page where it can be accessed by potential buyers and Realtors. All the information about your home is displayed on our web site from the time your listing is taken until it is sold. This includes full color pictures, a virtual tour and Google map with its street view and zoom-in capabilities. We have cultivated relationships (and have become the Realtor of choice) with several groups who promote the Lake Chapala area of Mexico. 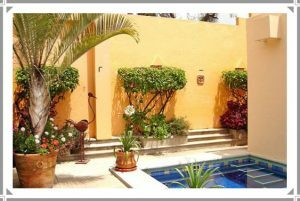 This has been tremendously successful at generating high quality clients who are interested in buying real estate specifically in the Lake Chapala region. A full color Feature flyer will be created and displayed in your home to highlight its special features. These are very useful for Open Houses and for showings by Realtors. These Feature flyer are also posted on our outside office wall and available in the Lake Chapala Real Estate office for handout to Agents and potential buyers. When all else fails, we go back to the drawing board and pull out additional marketing tricks to generate renewed interest in your home. Perhaps it is to coordinate a cocktail party, or an ‘Art in the Garden’ show in your back garden. Or, together with you, we look at any incentives we might be able to include that will create new interest. The bottom line is, we will not stop until your home is sold. There is a reason our listings sell for more money and on average faster. We have an amazing team! With over 25 agents and their combined years of experience and a bilingual support staff of 7, we can serve you with professionalism, knowledge, integrity and expertise in a capable and courteous manner. Our supportive atmosphere generates a confident TEAM because Together Everyone Achieves More. We will regularly give you status reports on what is happening with your property, the marketing, as well as any changes in the local market conditions. This will give you the information you need to adjust the marketing and pricing strategy as needed. Together, we will work to get the best results in the shortest time. We advertise Custom Home Tours and Courtesy Orientation Tours from our office. We sit down with these clients and together we select homes in their price range and in the neighborhoods where they would like to live. This is not just a curiosity tour for lookers. Our Services for Buyers process works in your favor to match your home with a highly qualified buyer. So now you have an offer! Once we have an accepted offer on your home, there is still much to do. We will stay on top of all conditional dates, an inspection, etc, communicating with the buyer or buyers’ Real Estate Agent until all the conditions have been met and confirmed in writing. Once we have a confirmed sale, we will place a ‘Sold Sign’ on your property. But we are still here for you. There are several details involved in the Closing. Contact us to put this 16 Point Marketing Plan to work selling your home and for Free Home Evaluation and full Listing Presentation.